"The first three days have shown that the house is ready to discuss the issues." 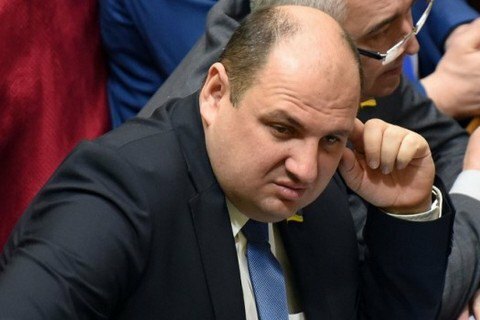 Verkhovna Rada deputy Boryslav Rosenblatt (Petro Poroshenko Bloc) expects that the parliament will be able to work constructively during the fifth session. "The first three days have shown that the house is ready to discuss the issues. Not everything is adpted unanimously, but I have seen a constructive dialogue. I can see that the house is able to work," Rosenblat said on 9 September at a roundtable in Gorshenin Institute. In the same time, the lawmaker did not rule out heated debates during the consideration of the draft budget. "And still I believe that [Prime Minister] Groysman is capable of taking into account various proposals. I do realize that there fundamental decisions, because even in the president's speech there was a clear focus on national security; while social standards were the second important issue," he said. Rosenblat said that the next budget should be a budget of development, because economic problems just cannot be attributed to war situation. "In some countries it is common practice. There are countries like Israel and South Korea, they successfully move their economies forward and are capable of defending themselves. I believe Ukraine can do that as well," he said. The fifth session will last until the end of January and have 10 plenary weeks.